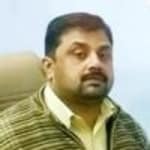 Dr. Karan Chauhan is one of the best Dentists in Sarojini Naidu Marg, Allahabad. He is currently associated with dr karan Chauhan in Sarojini Naidu Marg, Allahabad. Don?t wait in a queue, book an instant appointment online with Dr. Karan Chauhan on Lybrate.com. Lybrate.com has a number of highly qualified Dentists in India. You will find Dentists with more than 42 years of experience on Lybrate.com. Find the best Dentists online in Allahabad. View the profile of medical specialists and their reviews from other patients to make an informed decision. Dr. Karan Chauhan provides answers that are prompt, professional and caring. Every Doctors have their own perceptions; And is almost useful to me. A friend of mine who is 19 years old is suffering from bad breath which she thinks comes from her stomach. She also has gas problem and body odor. Pls suggest something so that she feels better and comfortable. Get you r scaling done and mouthwash 15 ml thrice daily for further problem please consult general physician. 4 years back I was diagnosed with TMJ. I had no problem since 3 years, but since last week I am again suffering from TMJ. My left jaw is getting dislocated when I open my mouth wide. It's causing lots of discomfort and pain. What medication or treatment do you advice? Doctor, I am suffering from oral thrush. Now I am in a medium condition. But still Little amount of oral thrush is there. I can't talk, can't eat properly. And my exam is near. So me some medicine. So I Can get well soon. Please doctor help me. Start with metrohex four times a day and clohex plus mouthwash 10 ml twice daily if you r on inhalers oral thrush will happen and check up with gastro physician. I have a tmj for 5 years. I use 3 types of splints. But no use. I done 8 x.rays. My doctor says no severe problems. But day by day the symptoms will be increased. But last 2 months I have pain in my right jaw and right side skull. The pain in severe. please help me what can I do. What is the next diagnosis I will do please reply me. Sir I want to use invisible braces my age is 30. I am doing job. I cannot use working hour become that is customer dealing job. Sir please advice me and how much its cost. Cost would be for invisible braces start from 40000 to 80000 you can also use aligners to rectify you r problem. I still have swollen gums and it is just not getting better. I have taken antibiotics and also have been maintaining clean oral hygiene. I would I like to send pictures of my gums as it is only a portion of the gums which is swollen and its difficult to brush my teeth in that portion. I am 23. I chewed gutkha and tobacco for five years but not consistently. I developed oral submucous fibrosis. Their are many whitish fibrous bands in my mouth and soft palate. My mouth opening is good and I already met ENT doctor many times and he said nothing to worry about. But the biggest problem is that I develop consistent mouth ulcers even I didn't chew gutkha right now. Doctor told me Whatever damage is done to my mouth will remain permanent but you should quit tobacco and I did the same thing as doctor said. But I'm getting mouth ulcers consistently and Whenever I eat anything it hurts my mouth due to trauma. My ENT specialist gave me Lycopene Tablets and Tess Buccal paste. I am currently using only Buccal paste but Still I keep getting mouth ulcers. This is my problem since one year. My mouth opening is good but most part of my inner mouth is damaged. I don't even posses the courage to watch my mouth in mirror. Although my ENT doctor said nothing to worry about and I'm just 23 but I've heard that oral submucous fibrosis has a risk of developing into cancer even after quitting tobacco. I'll be glad if you tell me the chances of getting cancer as I already stopped taking gutkha and tobacco products and How long it will take my mouth to heal completely since mouth ulcer is my problem since more than a year. Read less. Meri umar 21 sal he or mera muh tmbaku ke karan nhi khul rha he. Ak ungli hi ja rahi he or tikha bhi nhi khaya ja rha. Iska ilaj ho to muje please btaye. Iska ilaj kese or kha hota he bina surgery ke. My mouth not open gutkha stop in 3 months but not open. Medicine I am eating .sm fibro. Lester 2.5 months.